Guests will discover the elegance and sophistication in the decidedly American feel throughout its 45 guestrooms and suites. Morrison House offers ready access to all there is to see and do in Old Town and nearby downtown Washington DC. The setting for this classic tale unfolds upon arrival in Old Town Alexandria to the front of the classic American red brick building and continues inside where guests notice the beautifully appointed lobby and elegant sitting rooms the Parlor and the Library. Morrison House furthers its sophisticated setting with thoughtful amenities and services to make your stay memorable. Located in stunning Waterview towers, designed by the world-renowned architectural firm of Pei, Cobb, Freed and Partners Hotel Palomar Arlington, a Kimpton Hotel in Arlington, Virginia, matches the vibrantly moving energy of its Rosslyn neighborhood. 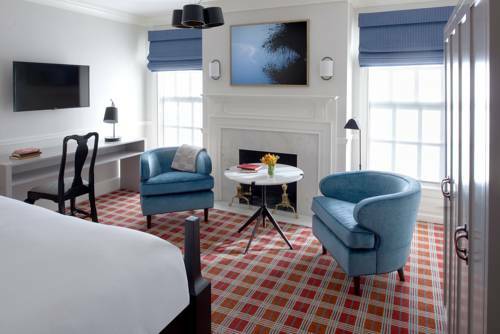 The flowing liveliness of the nearby Potomac River, the welcome discoveries in the surrounding community, and the thrill of unmatched views - all set the tone for guests' experience at our boutique Arlington hotel. On the beautiful Island of Chincoteague, Virginia, is the legendary Blue Heron Inn, where tranquility is a way of life. This picturesque Inn has long been known as a favorite vacation retreat for generations of travelers seeking a serene and enchanting escape. Chincoteague Island is the perfect location for honeymoons, romantic getaways, and small weddings. The Inn reflects a wonderful blend of local heritage and the unspoiled natural beauty that makes Chincoteague such a special place. Deluxe accommodations include spacious rooms with one King, one Queen or two Doubles. Located on over an acre and a half of landscaped grounds, the Inn's intimate setting takes advantage of the quiet peacefulness that is in abundance on Chincoteague Island. Here, guests can enjoy nature at its finest, while staying at one of the closest Inns to the entrance of the Chincoteague National Wildlife Refuge. Located in the quaint community of Irvington, Virginia, the Tides Inn is a destination beyond compare. Celebrating their 60th anniversary, The Tides Inn is a setting like no other located on Virginias Northern Neck, bordered by the historic Chesapeake bay to the East, The Potomac River to the North and the Rappahannock River to the South we offer the finest in waterfront accommodations and southern hospitality. The Tides Inn features acclaimed waterfront dining and luxury amenities. Keswick Hall is a 600 acre country estate located in the heart of Virginia hunt country, close to historic Charlottesville and only minutes from Thomas Jeffersons historic Monticello. The hotel is located in the foothills of the Blue Ridge Mountains , only 15 minutes from historic Charlottesville , one hour from Richmond and two and a half hours from Washington DC. The hotel offers an 18,hole Arnold Palmer,designed golf course , Full spa facilities , fitness and wellness center, 5 lit tennis courts , indoor and outdoor swimming pools , saunas , steam room , and two full service restaurants. Keswick Hall offers 45 guest rooms and 3 suites, each individually furnished in its own particular theme. Located in Northern Virginia's most exclusive business and shopping district, The Ritz-Carlton, Tysons Corner is an enclave of elegance and charm. 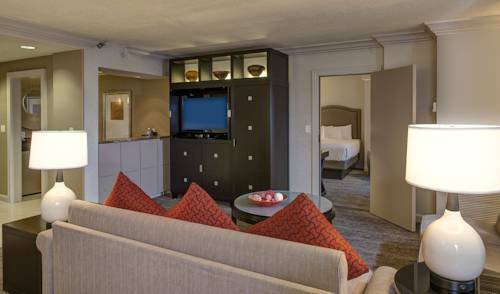 Perfectly situated outside of Washington, D.C., The Ritz-Carlton, Tysons Corner offers a luxury escape with award-winning service and amenities. The hotel invites guests to indulge in soothing spa therapies, creative dining and luxurious shopping. Enjoy indoor access to Tysons Galleria where you will find a shopping experience unlike any other. The Tysons Corner hotel is conveniently located twenty minutes from Dulles International Airport and Ronald Reagan National Airport and easily accessible to Washington, D.C.
A delightful country inn and estate on 265 acres of rolling countryside. The Goodstone Inn and Estate has breathtaking views of the Blue Ridge Mountains, spectacular romantic accommodations and superb dining at Hilltoppers, the Inn's restaurant. This is a genuine get away from it all retreat with suites and bedrooms in a variety of period buildings. Choose from a cottage in the meadow, the elegant Manor House or the centrepiece, Carriage House, with its spectacular restaurant overlooking Goose Creek. Sit by a roaring fire or read a book in your hammock as you enjoy complimentary refreshments. For total decadence, have a massage in your room and then swim in the pool, canoe, hike or cycle around the picturesque grounds. When it is time to dine, the excellent farm-to-table cuisine in Hilltoppers is served with a global twist. This award winning property houses 518 non-smoking guest rooms including 14 suites. State-of-the-art fitness facility complete with an indorr pool, roman spa and saunas. If you enjoy being one with nature and would like a change of scenery, enjoy a casual stroll, jog or bike along the 45 mile wood trail adjacent to the hotel. Explore the 7th largest wine region in the US, featuring over 30 wineries within a 1 hours drive. Let our dedicated employees exceed your expectations and assist with all of your needs. 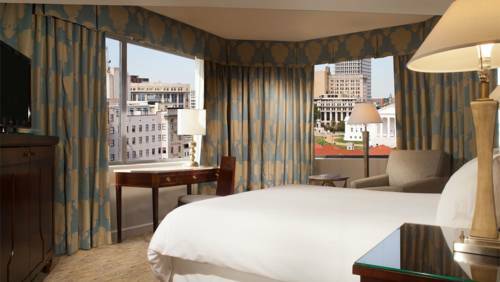 Southern hospitality and contemporary elegance come to together for a refined experience at The Omni Richmond Hotel. The Omni Richmond Hotel is just steps from fine dining and shopping as well as entertainment and is located in the heart of the historic district in Richmond. 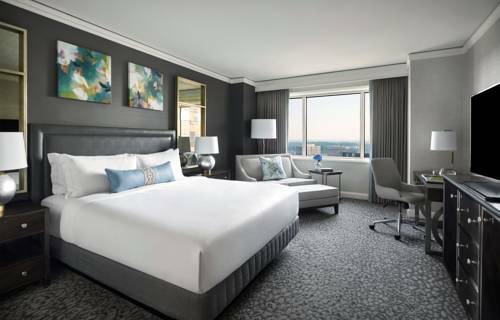 The elegant guest rooms and suites feature luxury bedding and superb amenities plus views of the scenic James River and City Skyline. 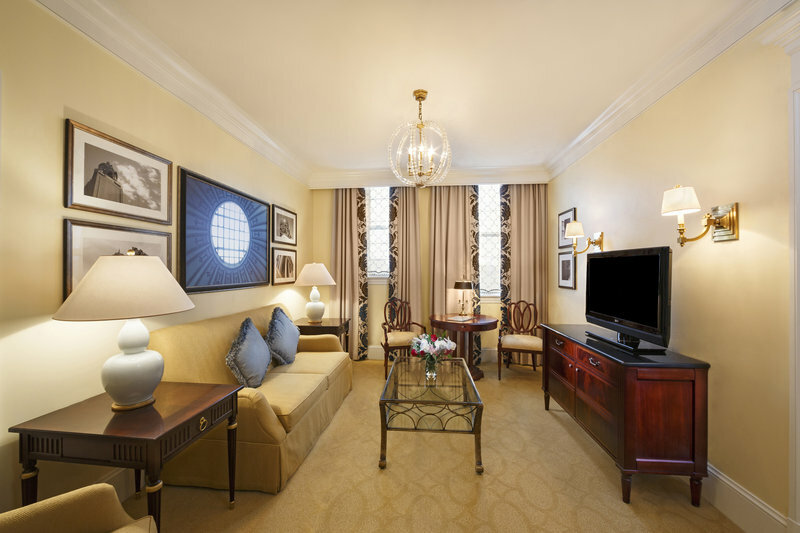 Hints of rich American history are displayed throughout the hotel and features such as an indoor pool with sundeck and Trevis Restaurant as well as complimentary access to the James Center YMCA make this the ideal getaway location. Known for its genuinely friendly service, luxurious guestrooms, breathtaking architecture and elegant decor , the Jefferson Hotel is reminiscent of a more gracious era. Guests of The Jefferson enjoy a variety of amenities and services including two award-winning restaurants, 24-hour room service, a complimentary on-site health facility including an indoor swimming pool, and complimentary wireless high-speed internet access. Centrally located in the heart of downtown Richmond The Jefferson Hotel is just blocks from the state capital, historic Shockoe Slip, the Richmond Convention Center and the financial/business district. All of the city�s most popular shopping, entertainment venues, museums and restaurants can be reached using the hotels complimentary transportation. The Jefferson Hotel will make your visit a memorable one.